This is the written contract for the sale and purchase of the property between the vendor (seller) and the purchaser (buyer). Part of the price (usually 10%) paid by the buyer when the agreement is signed or on confirmation. This is the amount of the property that the purchaser actually owns – rather than owes. This form of title means that you own the land and the buildings on the property, with few restrictions. A mortgage is a type of loan. Mortgages are used to make large real estate purchases without paying the entire value of the home and land up front. Over a period of many years you repay the loan, plus interest, until you eventually own the property. This is the date on which you pay for the property. Usually it is the same date as the date you take possession but that is not always the case. A document that describes the property and gives legal right of ownership to the property. Someone who has the legal right to deal with conveyancing. Preparing documents to change the title of who owns the property. They handle the legal side of things and make sure that the property that’s about to be yours will actually be yours. 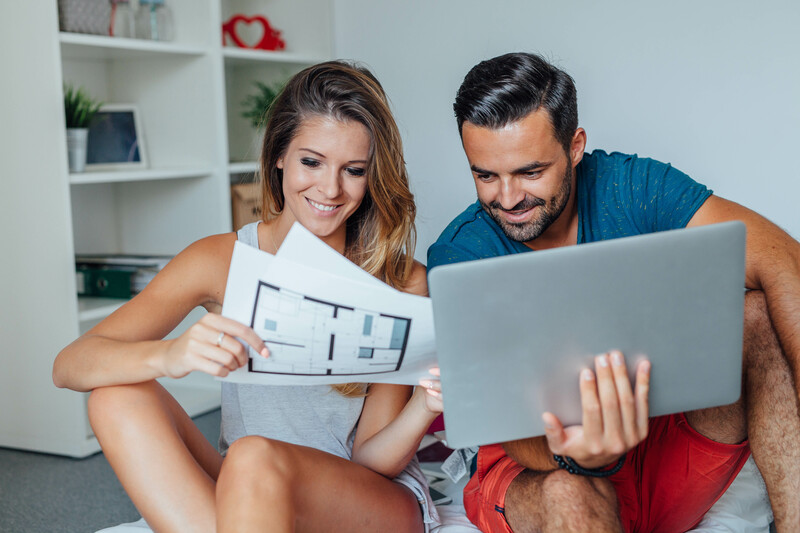 If your buying or building a new home valued up to $750,000 you may be able to apply for the first home owners grant which is a payment of up to $10,000 to put towards your first home. Stamp duty is basically a type of tax that can vary from the price of your home or land the general rule is the cheaper the property then cheaper the tax. The front decorative design of your home, what you see from the street. The moulded frame around a door way or window. One material layered over another to help against the weather conditions or even just to look pretty. An increase in value of the property. Items that can be taken out of the home easily with little to no damage these are more appliances such as washing machines and fridges. Items that are usually stuck in their positons and are hard to replace such as lights, tap wear things that can’t be removed after the sale. Usually a parent or guardian who will be a back up to pay the bank back your loans and debt if you can’t. A right to cross or otherwise use someone else’s land for a specified purpose. Frontage is the boundary between a plot of land or a building and the road onto which the plot or building fronts. Frontage may also refer to the full length of this boundary. A test done on a block of land to see how healthy the soil is and if it will affect the build or not.